Kalagadi Manganese Executive Chairperson, Daphne Mashile-Nkosi, was named ‘CEO of the Year’ at the Africa CEO Forum event held in Geneva, Switzerland. The coveted award is part of the Africa CEO Forum awards, which were established in 2012. They recognise companies and individuals whose strategies are contributing to Africa’s economic ascendance. The awards are adjudicated by an independent panel and the sponsors of the event, Groupe Jeune Afrique in partnership with the African Development Bank (ADB) and Rainbow Unlimited. Other nominees for the CEO of the Year Award were Abdeslam Ahizoune (Maroc Telecom, Morocco), Bob Collymore (Safaricom, Kenya), Kola Karim (Shoreline Energy International, Nigeria) and Strive Masiyiwa (Econet Wireless, South Africa). Her background makes Mashile-Nkosi the ideal recipient for this award. 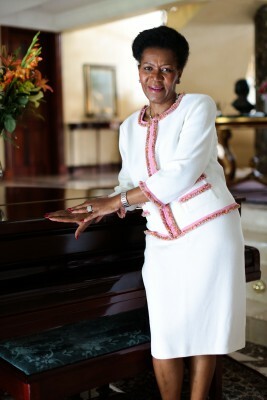 She stands alone as a successful, entrepreneurial Black woman in the male-dominated mining sector. 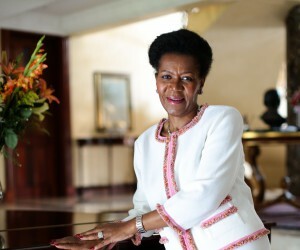 As a woman pioneer she started Eyesizwe Coal in 1999, which is today known as the mining giant, Exxaro. “The D in the ADB truly has meaning for African Women. I am humbled to have won this prestigious award, for it goes far beyond the recognition of business success, coupled with my commitment to social upliftment and environmental responsibility. It also acknowledges that an African woman can make her mark in the historically male-dominated mining industry. I hope that this will symbolise the breaking of the ‘glass ceiling’ and open the way to encourage other women to take their rightful places around the boardroom tables of Africa,” Mashile-Nkosi said at the awards ceremony. As Chairman of Kalagadi Manganese, Mashile-Nkosi leads a company that is playing a vital role in the socio-economic development of the Northern Cape Province. The seven billion Rand project currently employs 3 000 people who, in turn, support about 30 000. Kalagadi is an integrated mining and sintering undertaking and, at full operation, it will have an annual production of three million tons of manganese ore.
“The mining industry has not been an easy road, especially for a Black woman, but I have persevered and succeeded in surmounting the many obstacles that have been placed in my path. Where there is no pain, there is no gain,” commented Mashile-Nkosi. In addition to the mine and related infrastructure, Kalagadi has built a nursery school and re-equipped a primary school as part of the company’s community outreach programme. “While my leadership style may be considered authoritarian, it is tempered with a feminine touch,” concluded Mashile-Nkosi.